Divinations: Rationality, sound advice, action, justice, ordered growth, journey; or crisis, rigidity, stasis, injustice, irrationality, control freak, hypocrisy, wrongful imprisonment, restlessness. Promises? Promises? Are promises past due and payable? People make them to get what they want, you know. People say, “I’m sorry for what I did. I promise not to do it again.” Now is the time to take an objective look. You find insight into motivations. Promises are sacred. If single and dating, even the simplest of them reneged upon is a heads-up warning you can’t ignore today. 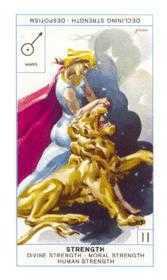 The Strength Tarot card represents nature, which, however wild in its primal form, is tamed by our subtler, finer self — our feminine side, our inner self. The will and passion of our instinctive nature does not need to be broken, but refined and brought to consciousness, so that all levels of creation may come into harmony. You are a seeker, and both a dreamer and an achiever. Some might call you an overachiever, as there is a bit of a perfectionist in you. While you do need security and comfort, your desires tend to stretch beyond the routine and mundane. You have strong morals and standards for yourself, and you work hard for what you have. Things are not simply handed to you, and you know this instinctively and push all the harder. You possess much creative intelligence and stand out as unique. Famous people born today: John Quincy Adams, E. B. White, Yul Brynner, Michael Rosenbaum, Rachael Taylor, Lisa Rinna. Pluto opposes your Sun until November 2018, and there continue to be some blocks and frustrations when it comes to going after what you want during this period. Pushing too hard to get your way can backfire. Avoid taking extreme measures to make things happen your way, and avoid people who might be doing same. Deliberately trying to maneuver things in order to get the upper hand will be a lesson in frustration. It’s important to avoid power games with others which can be all too easy to become a part of this year. Look for healthy ways to release frustrations. However, you may not always have follow-through when it comes to your projects as you may be experimenting with new ideas and hobbies. Watch for wasting too much time on new ideas if it comes at the expense of productivity. Ups and downs may lead to new commitments nevertheless. Saturn forms an opposition to your Sun from March to November 2019. Saturn calls upon you to identify the weaker areas of your life and to fix or strengthen them. Take the time to sort out details, improve your work, and become more efficient this month. Taking a slow and steady approach to life is necessary during this period. Pushing too hard will likely lead to frustration and setbacks. Take it easy and work on self-improvement. Results are not immediate, but will eventually come and bring healthy rewards. Relationships may be (or seem) more challenging than usual while Saturn opposes your Sun. Fortunately, this is a quick pass transit, lasting only a month or so instead of the usual several months. However, Neptune transits in harmony with your Sun from June 2019 forward, enhancing your creativity. 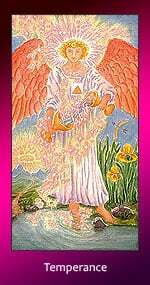 A higher purpose to your life is what you seek during this period, and you rely more heavily upon your intuition in order to achieve it. You could find that your intuition is subtly enhanced and that you’re often in the right place at the right time, probably because your hunches are more likely to be correct. You tune into your imaginative and artistic side. This is a good year for self-improvement programs or efforts. The need to “get away from it all” to find some peace and quiet now and again will be strong. A more sensitive – even mysterious -persona is projected this year, and this can attract pleasantly unusual circumstances (and people) into your life. You’re inclined to rock the boat this year so that you can break free from a limiting situation, but be mindful when/if making sweeping changes. With work, you’re expanding your interests in satisfying ways. Do watch for a tendency to communicate impulsively and to waste too much time on projects that don’t lead to something substantial. There can be increased steadiness and reliability in your social life, however, and some relationships (or a key one) improve happily. 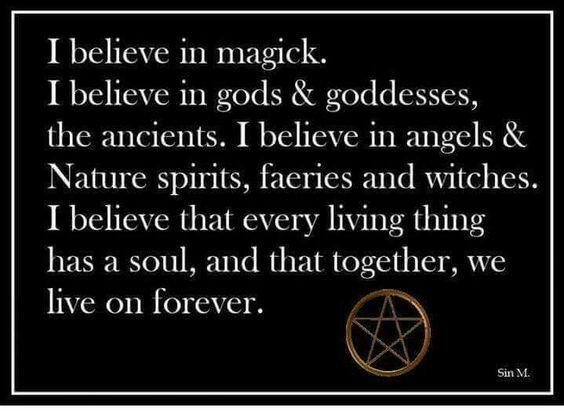 If you are working on an important piece of magick, you can say this blessing first. This is a good spell to ask your familiar to help out with if you are lucky enough to have one. Just their presence in your circle will give your magick a boost. That I might practice in perfect love and perfect trust. And according to the free will of all. 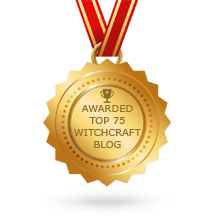 For many beginning Witches, and even for plenty of those who have been practicing for years, the sense of being on a spiritual path can seem impossible to access in the midst of the hustle and bustle of modern life. Studying and practicing the Craft is often relegated to the category of “leisure time,” something to indulge in once the work day is over and all of the chores are done. For those who have initiation or self-dedication as a goal, it may seem like there’s never enough time or energy for truly engaging in sufficient study. And even for those who aren’t working toward a particular benchmark like initiation, finding the motivation to keep learning and practicing can still be a challenge. So what can you do, if you’re feeling yourself to be in a stuck place regarding your own path? The first thing to do is recognize that it’s okay to be stuck. Getting frustrated with yourself over where you are is never helpful—the energy of frustration doesn’t manifest positive change. Not only does it keep you stuck, but it actually deepens the ruts that your “wheels” are spinning in. So if you feel yourself to be stuck in a rut with your wheels spinning, then the first thing to do is get out of the car. It’s not a road, remember? It’s a path. Your path. You’re the only one on it, so you can stop whenever you want to, or need to—for as long as you want or need to. And you can trust that when you’re ready, you’ll resume walking at your own pace. You can also remind yourself that plenty of people struggle with their paths—in fact, there’s not a Witch in history who hasn’t experienced some kind of block within their practice, for one reason or another. Many people would argue that the whole point of being human is to experience obstacles and then grow by either overcoming them or learning to work with them. 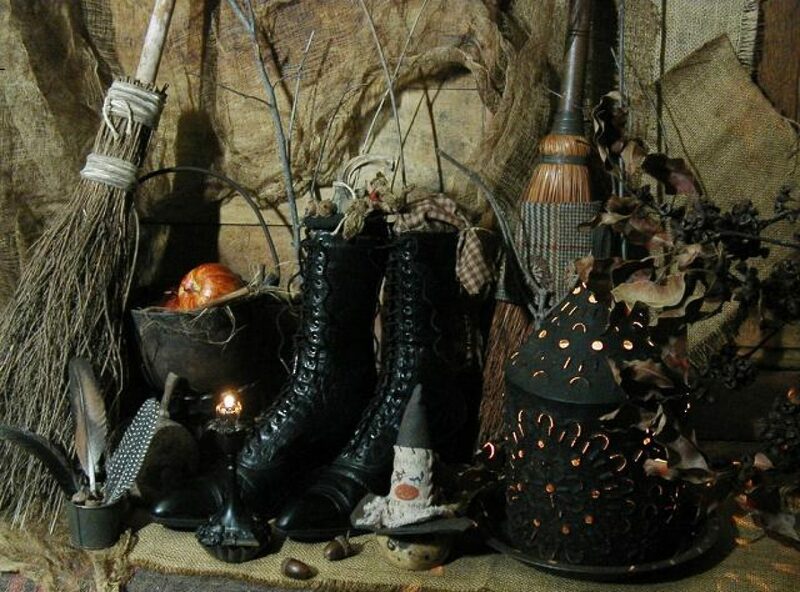 Witches can certainly be said to have an edge when it comes to navigating obstacles through the use of magic, but we all face difficulties, regardless of spiritual orientation. *Notes: perform on a Wednesday and/or during the waxing Moon with the Full Moon being strongest. An orange or violet candle is associated with any magick cast on this day. Rituals Involving: Intellect, memory, science, creativity, business, magickal conjuration, divination, prediction, eloquence, gift of tongues, speed, speech, writing, poetry, inspiration, improvement of mind power, healing of nervous disorders. And to help in my conjurations.